It’s almost every app developer’s dream to join the coveted ranks of the billion-download apps. Getting there can be quite the uphill challenge though. One thing developers are often unprepared for is growth. You may not have given serious thought to what a million users would do to your app’s ability to function. To handle the kind of growth you hope for, your app must be scalable. These five methods can help you create a scalable application that will grow the way you want it to. Think about the application you’re building or one you’ve built in the past. How did you handle sessions? The answer is often session IDs in cookies and session data in a table on the database. There are better ways to store this information. One of the most popular is an in-memory caching tool. The advantage of this is that it offloads queries from your database. In turn, your database will perform better, allowing you to deliver more to users with greater speed. Take a moment to think about the question “what is scalability?” For most people, it means delivering a seamless web app experience even as your user base grows. The trick is ensuring your web application architecture will support this growth. One thing to remember is that many of your users will make similar demands of your app. This means they’ll send the same queries. Instead of querying your database, you can cache common queries to speed up service. There are tools to help you determine which queries you should be caching. They can live in your web server’s memory instead of adding to the database’s load. When someone tries to use your app or visits your homepage, are they going directly to your server? They shouldn’t be. If you want a scalable application, you should use load balancer architecture. This directs queries to what’s known as a load balancer. The balancer then sends queries on to one of many servers. This tends to prevent server failures and outages. It’s particularly helpful if your app encounters unanticipated growth. You may think this is the first step in designing a scalable application, but technology follows architecture. This step supports what you want the app to do. Once you know what the app should do, it’s easier to pick the right tech. You’ll want to consider things like the database you use and server hosting. Even the programming language you choose can have an impact on scalability. You may have heard debates about scaling up vs scaling out or horizontal vs vertical scaling. What’s the difference? Vertical scaling, or scaling up adds more resources to the system. This could mean adding more memory or increasing cache size. Horizontal scaling means redistributing the workload. Cloud computing is an excellent example since it distributes your database to several local servers. The server closest to the user then provides service. If you plan to grow, you’ll likely need to prepare for both horizontal and vertical scaling. Planning to build a scalable application from the beginning is a wise idea. It prepares your app for growth from the start, minimizing interruptions later on. 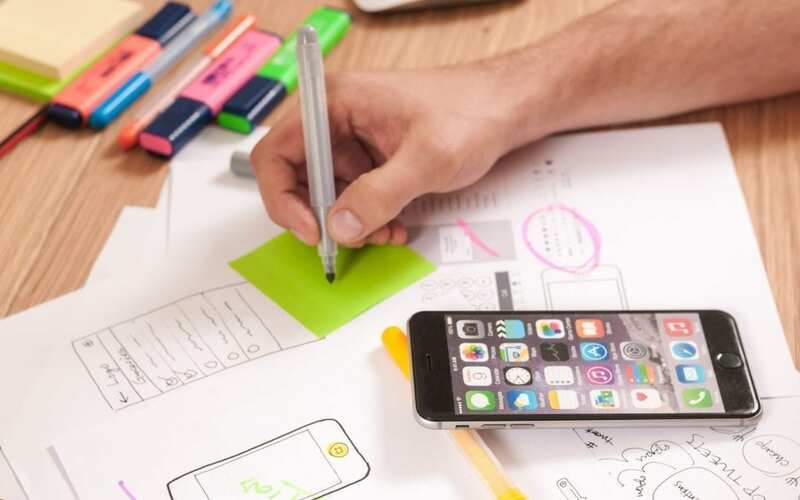 Do you need a hand designing a robust, scalable app for your business? We’re here to help. Get in touch and get started on your next app today.